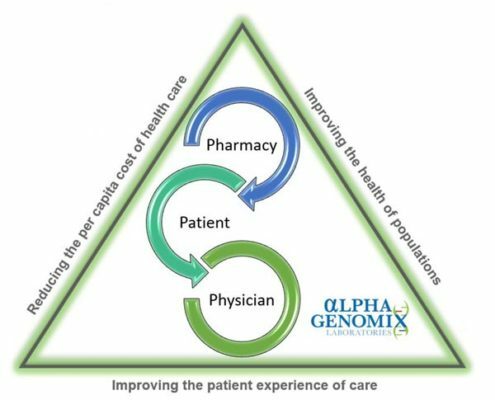 Pharmacists are uniquely positioned to be leaders within the pharmacogenetic industry. For years, experts have predicted that Pharmacogenetic Testing (PGT) would become standard of care in helping to reduce adverse side effects, trial and error, and waste within our healthcare system. Now, we have all the pieces in place to offer a seamless collaboration that unifies the laboratory, the physicians, and the pharmacist under a single technological platform to help ensure that patients are prescribed the right medication at the right dose. The key is to enable stronger communication in health care –thus improving the lab, pharmacy, physician, and patient relationship. 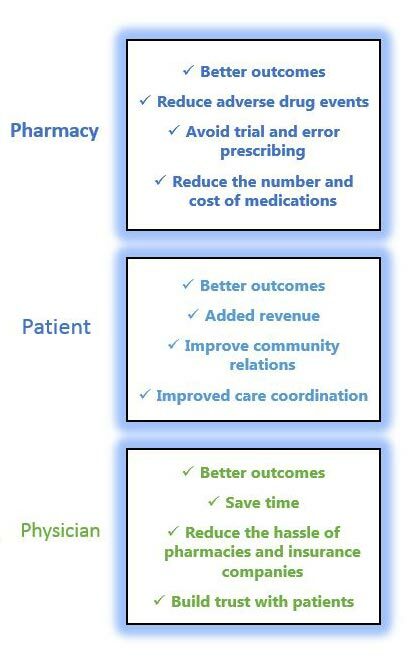 Pharmacists are uniquely positioned to be leaders within the pharmacogenetic industry, and by offering this testing within pharmacy, we can improve the prescribing processes, eliminate that one size fits all use of medications, the trial and error of new prescriptions and costly ineffective drug therapies. Alpha Genomix is proud to be the exclusive lab for the suite of Rx30 Pharmacy Systems and their “myRightMEDS” program.